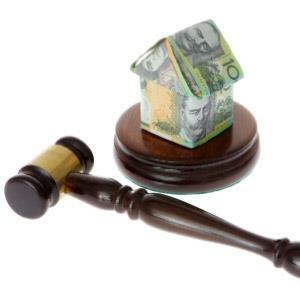 An agency in Western Australia has been reprimanded and fined $5,000 by the State Administrative Tribunal for overcharging clients for property inspection and management fees. Seaville Holdings, trading as First National Real Estate Karratha, charged the owners of four properties more than what was contracted for property inspection fees between December 2011 and March 2014, according to Consumer Protection WA. The agency also overcharged four other property owners for management fees between November 2011 and March 2015. Paul Brady, principal of First National Karratha, said the overcharging occurred due to an administrative mistake with clients already under contract. “Unfortunately, it was an administrative error that had taken place a while back, which negated the GST off some renewals of contracts,” he told RPM. Following an investigation by the Department of Consumer Protection, the agency undertook a review of all its owners’ files and refunded clients more than $19,000 that had been overcharged. A spokesperson from First National head office told RPM that the group requires compliance with all property management legislation. “This matter demonstrates that consumers are well protected and that the State Administrative Tribunal recognised instances of overcharging were not deliberate,” the spokesperson said. Acting commissioner for consumer protection David Hillyard said it’s vital that property managers only charge fees that are agreed to under their property management contracts. “With proper checks and balances in place, accounting errors should not occur in the management of clients' accounts, especially over such a long period of time,” Mr Hillyard said.